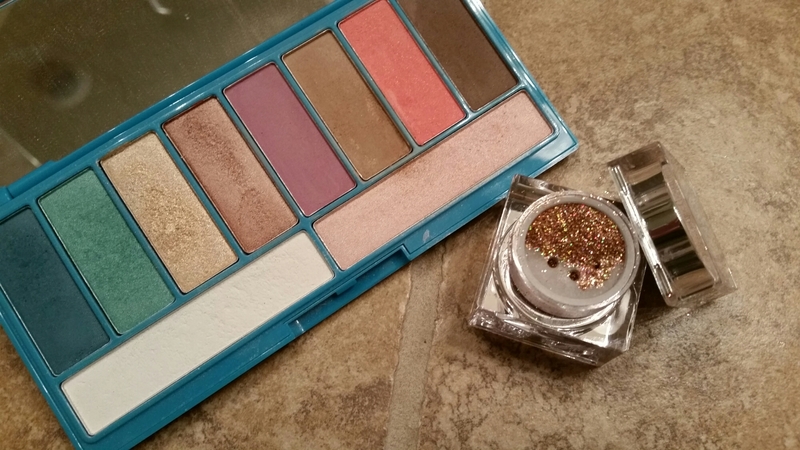 Blend white eye shadow under eye brow and onto brow bone to make blending easier. Use light brown as transition shade. 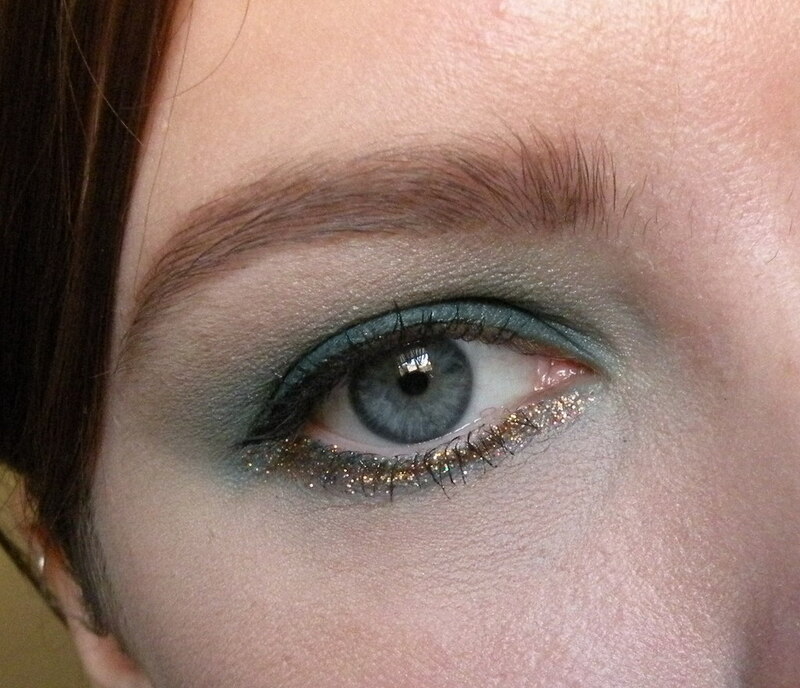 Pack dark teal shade all over eyelid. 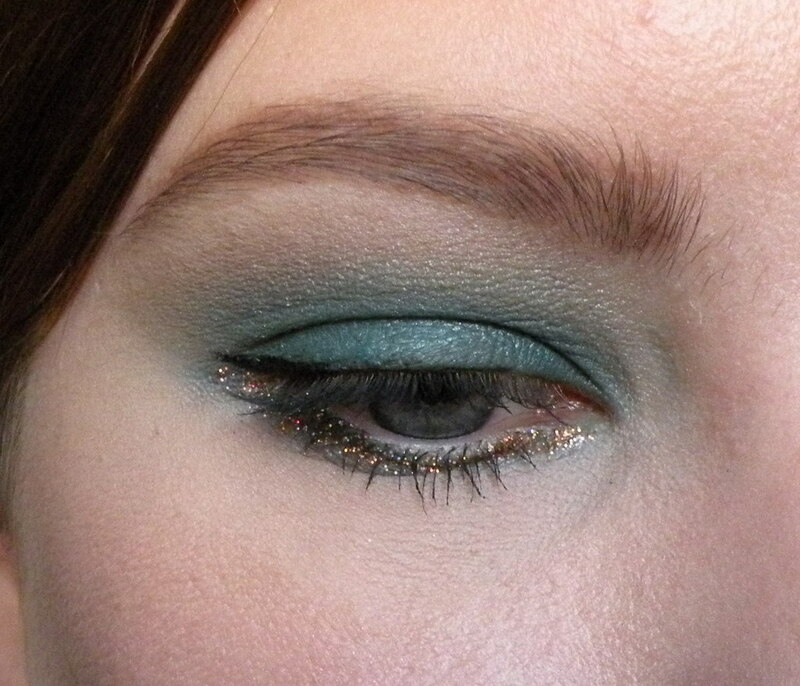 Blend out dark teal with light teal green in the crease. Use black liquid liner to create thin line and small wing on upper lash line. 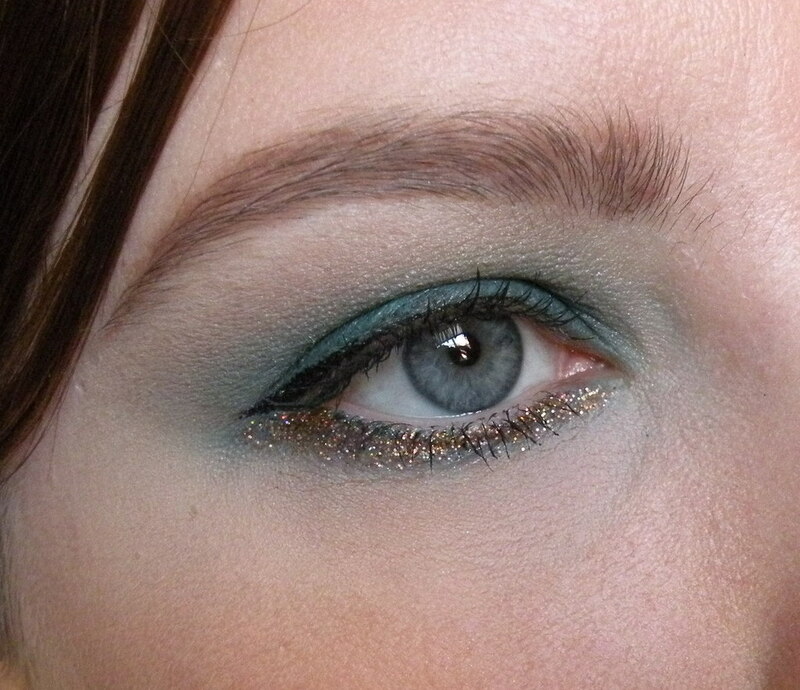 Use LIT Clearly Liquid Glitter Base mixed with glitter to create glitter liner to apply all along lower lash line. Sure! Looks like it is still available on Lorac’s website. Wow that looks so good! 😀 Inspiring! The contrast of the gold with your eye color is SO pretty. How is your baby!!?? Thank you so much 🙂 She is doing great! Thanks for asking! 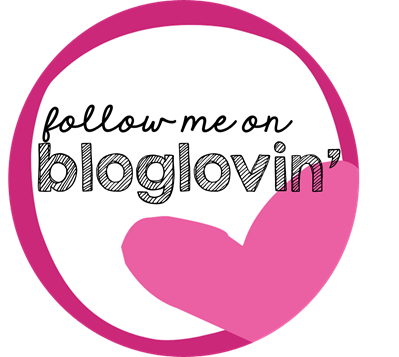 Already about 7 months though….where does the time go?! I know what you mean. My son’s birthday is in October and he will be 2… the other day (he’s still sleeping in our bed) I was putting him to sleep and told him it was time to go night night… he crawled out, told me “no”, and then flipped the light back on… I feel like I was just watching him learn to crawl! It’s crazy! Haha, what a feisty move! I know what you mean. And something new everyday. It’s such a bittersweet thing. 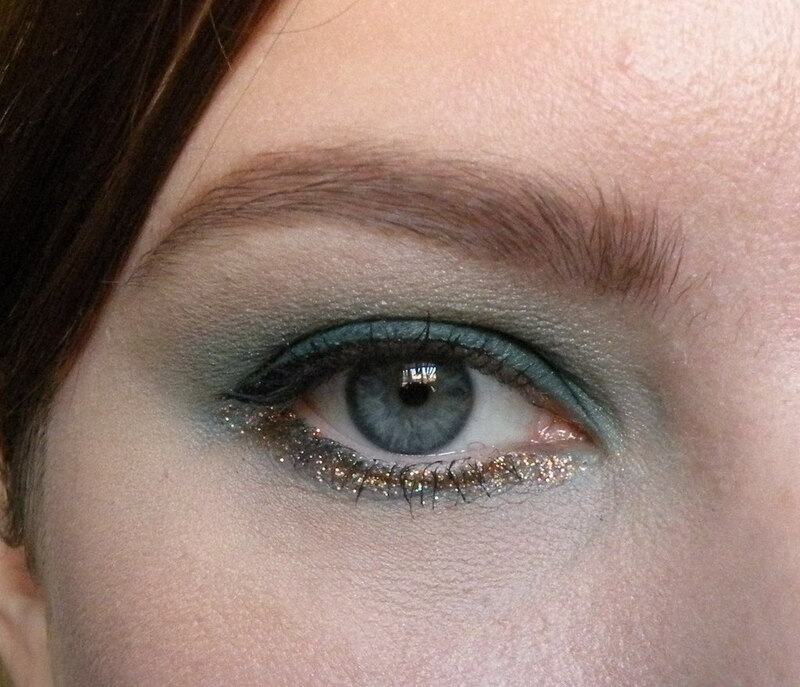 That glitter is such a pretty color and looks so gorgeous on the wear. Great look.